Biological tissue, polymers, and numerous other materials have unique absorption properties at wavelengths around 2µm, allowing lasers in that spectral region, such as thulium (2080nm) and holmium (2100nm) lasers, to heat very small areas with minimal damage to the surrounding regions. This makes 2µm lasers ideal for a wide variety of applications including materials processing and laser surgery. While 2µm lasers have been around for decades, recent advances in their design have greatly improved their accessibility, power efficiency, and stability. UV and 1µm lasers have different absorption characteristics and are unable to meet the needs of these specific materials processing and medical applications. The first 2µm lasers were extremely large, highly priced, liquid-nitrogen cooled systems that were not viable options for widespread use. However, developments in 2µm laser technology are driving down costs and decreasing their size, while simultaneously improving performance. Modern 2µm diode lasers can be as small as 30mm long, and fiber lasers are available even smaller. In some cases, researchers are developing components out of optical fibers, which can dramatically decrease the cost. 2µm lasers are steadily replacing other light sources due to their low cost, ease of use, and range of energy delivery methods such as pulsed and continuous wave beams. Lasers with output wavelengths of 1-1.5µm have been used in materials processing applications for years, but 2µm lasers offer numerous advantages including the ability to cut precise features with minimized local heating. Many polymers, such as plastics, feature high transmission at wavelengths around 1µm, which is detrimental for polymer processing because the 1µm laser passes through the material instead of being absorbed. Additives can be added to the polymer to increase absorption at 1µm, but this complicates the fabrication process. On the other hand, many plastics have strong absorption around 10µm, which leads to effective surface heating but not the localized heating that is required for precise processing. Fortunately, many of these same materials have more ideal amounts of wavelength absorption around 2µm. Therefore, 2µm radiation penetrates through the plastic material at an optimal distance, with the ability to be finely attenuated, resulting in localized heating of the material and the generation of cuts and welds with widths from 0.1-0.5mm (Figure 1). An important 2µm laser polymer welding application is the joining of medical devices such as implants, microfluidic devices, tubing, and catheters. 2µm lasers are ideal for highly precise surgery due to the high absorption of 2µm radiation in water molecules, which comprise the majority of human tissue. Strong absorption occurs because of the stretching and bending vibrations of the O-H bonds in water molecules and the vibrational frequency corresponding to 2µm radiation. Figure 2 shows the absorption spectrum for water as well as the tissue penetration depth for a variety of common laser types. The figure displays a high absorption peak and an optimally small and precise penetration depth at 2µm, as opposed to the peak at 3µm that does not offer enough penetration depth for surgical applications. Due to this high absorption, ablation, or the removal of tissue, can be achieved using 2µm lasers with a very small injury zone of about 0.5mm. In addition, coagulation, or the process by which blood changes from a liquid to semi-solid state and forms a blood clot, occurs when exposed to 2µm radiation. This suppresses the bleeding during a surgical procedure making the process cleaner, easier, and more efficient. 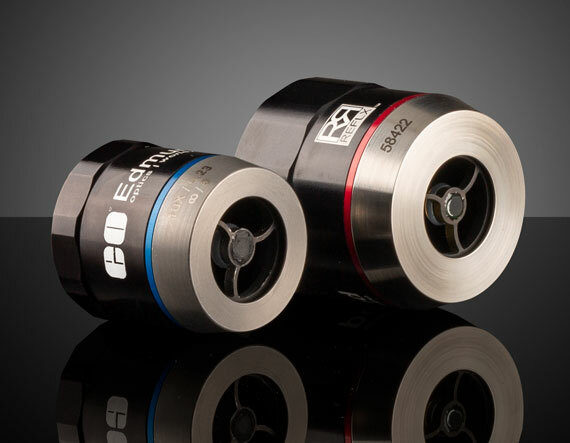 The compact TECHSPEC® DA Fixed Broadband Beam Expanders are ideal for demanding applications using 2µm lasers and tunable laser sources. A threaded barrel divergence adjustment allows them to compensate for varying input beam divergence while maintaining λ/10 transmitted wavefront error and high transmission from 1900-2100nm. They are available with fused silica 7979 and fused silica 7980 substrates. The broadband and achromatic TECHSPEC® Monolithic Reflective Beam Expanders (Mark I) feature a variety of integrated design elements for easy integration, including reflective flats, thread holes, and thru-holes, simplify alignment, mounting, and integration into any laser application. The monolithic design ensures performance and stability independent of changes in temperature. 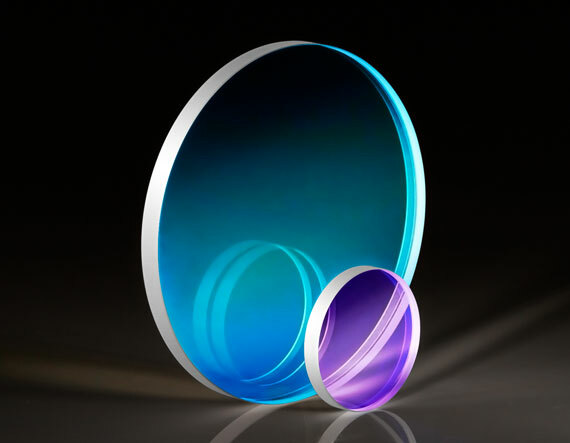 The TECHSPEC® λ/10 UV Fused Silica Windows feature a transmitted wavefront distortion less than λ/10 along with laser-grade parallelism and surface quality. 2µm antireflection (AR) coated versions are available to minimize reflections in 2µm laser applications. They offer excellent thermal properties, high transmission, and tightly controlled manufacturing tolerances. The reflective ReflX™ Objectives feature a broad spectral range and near-diffraction performance, resulting in superior image quality. By utilizing reflective mirrors instead of transmissive optics, these objectives do not suffer from the material absorption and chromatic aberration associated with standard microscope objectives. A variety of different coating options are available for 2µm applications. The TECHSPEC® High Performance ReflX™ Objectives feature the same broad spectral range as our standard ReflX™ Objectives along with λ/4 P-V transmitted wavefront error and a tapered mechanical design allowing them to be used at angles of incidence up to 45°. A variety of different coating options are available for 2µm applications. 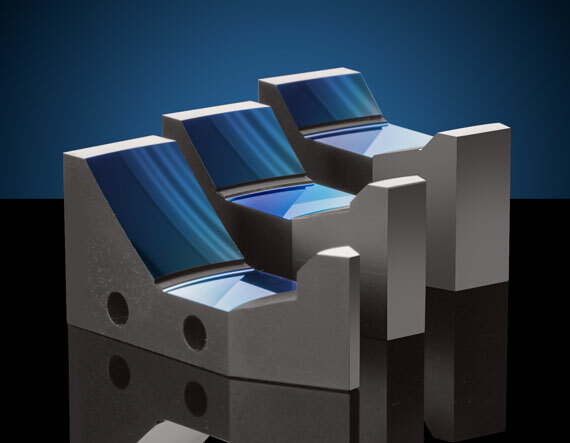 The TECHSPEC® 2µm Laser Line Mirrors are ideal for use with Thulium (1940nm) and Holmium (2100nm) doped lasers in medical, industrial, and metrology applications. They feature reflectivities >99% at 2µm and guaranteed laser damage thresholds >10 J/cm2. 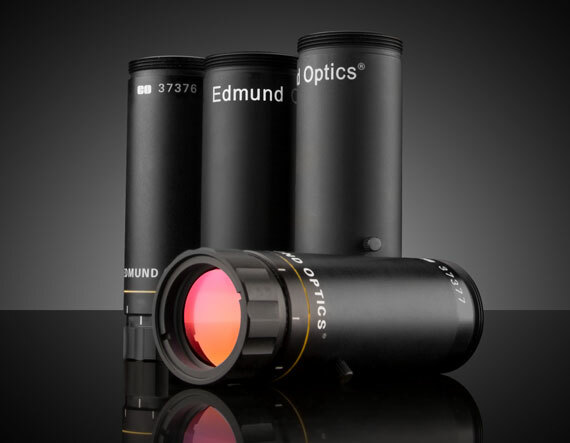 2µm lasers are not a new invention, so why are they a current trend in the optics industry? 2µm lasers have recently become much more widely used due to their increase in performance and reduction in size and cost. Is it better to use a continuous wave or pulsed 2µm laser for materials processing? Continuous wave (CW) 2µm lasers create heat-affected zones at the top and bottom surfaces during laser materials processing, which reduces the precision of the process. On the other hand, pulsed 2µm lasers create smaller heat-affected zones, leading to less surface damage and more precise processes. Why are 1µm lasers not as effective in surgical applications as 2µm lasers? Radiation from 1µm lasers has much lower absorption than 2µm lasers and penetrates deeper into tissue, resulting in larger areas of injury and more unnecessary dead tissue. Because surgery is a very precise process, the depth of cuts need to be finely controlled in order to reduce damage to the underlying tissue. 2µm lasers offer this precision and should be considered for these surgical applications. What optical materials are compatible with 2µm lasers? Some of the most common materials for use in the 2µm spectral region are fused silica, zinc selenide, calcium fluoride (CaF2), germanium, and sapphire. More information about compatible optical materials and their properties can be found at our Characteristics of 2µm Lasers application note.